The location of Taylor’s University Malaysia is about 20 KM in the South from Kuala Lumpur in the town Subanj Jaya of Malaysia. The location is an 18 minutes car drive from Kuala Lumpur. The full address is No. 1, Jalan SS15/8, 47500 Subang Jaya, Selangor, Malaysia. 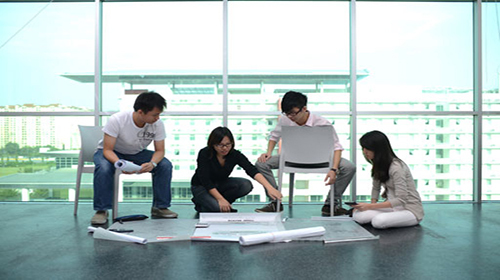 We help the students who are seeking admission in Taylor’s University (Or any other University in Malaysia), in everything from the application process and visa application and documentation to arranging for their accommodation – and even arrange to pick up the students from the airport and all in FREE of charge. 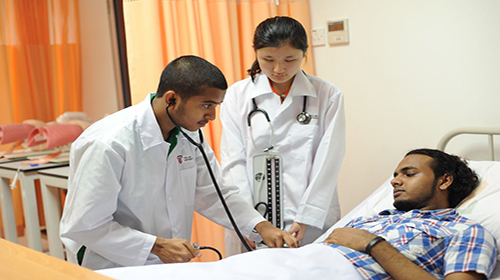 We make the students familiar with the life in Malaysia and in Taylor’s University, with the help of our extended services that will make every student feel at home. 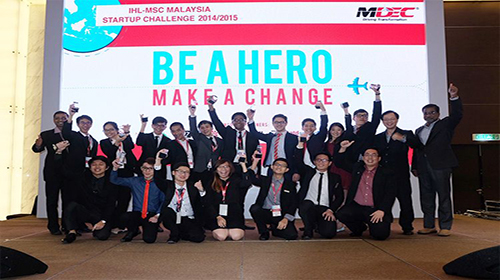 In simple words, If you are looking to study in Malaysia, we will basically do everything needed that you don’t have to look anywhere else. For details about our services click here. To get started right now or for your inquiries or if you want to study in Taylor's University, visit our Online Malaysian Universities Application System (OMUAS) or fill out the Register form from the right side. Someone from our team will get in touch with you at the earliest and will take you through the entire process – clarifying all your doubts and answering all your queries. After registering with us you can log in and upload your required documents and that is the only thing you will have to do in this whole process, we will take care of the rest. What is the language requirement for admission? The criteria for all international students who are willing to apply to Taylor’s University is to qualify TOFEL (Test of English as a Foreign Language) or IELTS (International English Language Testing System) with minimum marks as mentioned below in the table. 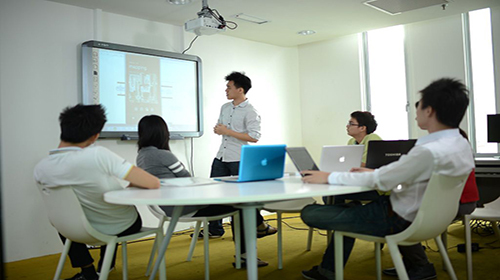 If you do not have the above scores in English, You can take the Taylor English placement Test on arrival to Malaysia. In the case of your disqualification from the above, you will be mandated to take an English course at the Taylor University. The list of documents for the purpose of admission to Taylor's University, are provided on here. Taylor University offers both On-Campus and Off-Campus accommodation to its students. The students residing at the OnCampus Accommodation stay in U Residence, which happens to be Taylor’s first on-campus accommodation. 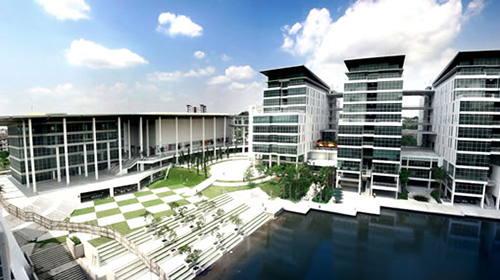 It is located in Taylor’s University, Lakeside Campus. 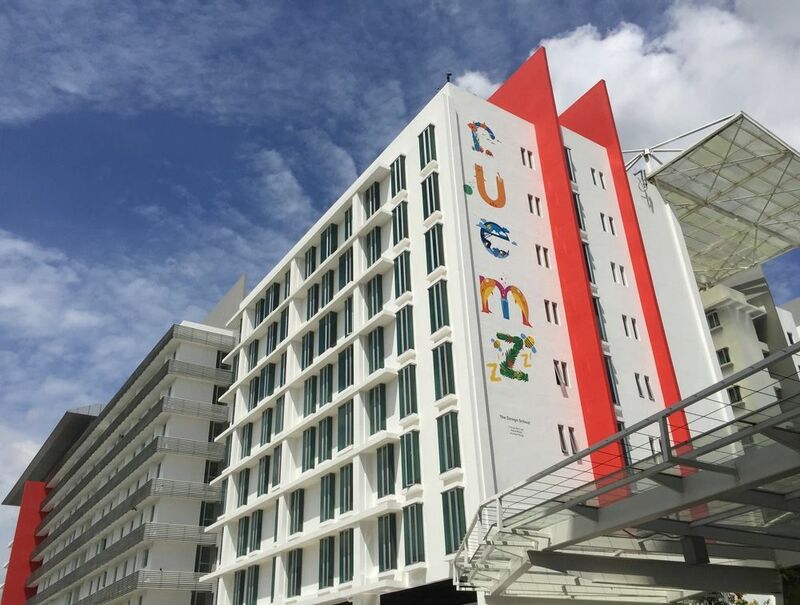 This is a 6-storey building, and has 890 beds, 126 apartment units and 116 furnished en-suites. The Off campus accommodation is located within the vicinity of the campuses. 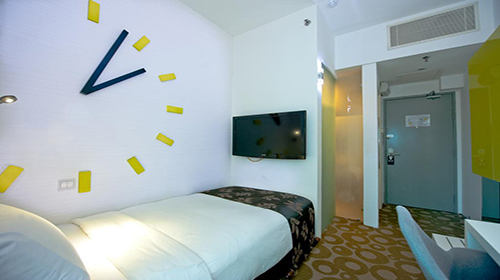 They have 24-hour security, Onsite Maintenance support and Housekeeping Services. These are 4-storey walk-up, fully-furnished apartments in contemporary style. A Bed, mattress, wardrobe, study table & chair are provided to the students with access to a swimming pool. 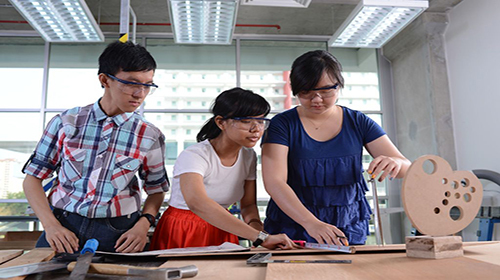 Taylor’s University offers a wide range of programs for the students to choose from. In the following tables, we have listed their available programs along with the tuition fees. There’s the Taylor’s Community Scholarship, Taylor’s Talent & Leadership Scholarship and the Taylor’s World Class Scholarship which takes students four times in a year – January, March, July and August. The scholarships are available at both Undergraduate and Post-Graduate levels. Taylor’s University offers a range of financial awards for both local and international students to help them achieve their academic dreams. The financial support is awarded purely on talent, and on a competitive basis where students are required to take assessments - including scholastic aptitude, presentation skills and writing skills. All these financial awards have their own specific terms and conditions. The availability is limited and applicants and the discretion of the University is final with respect to the selection of candidates for scholarship. 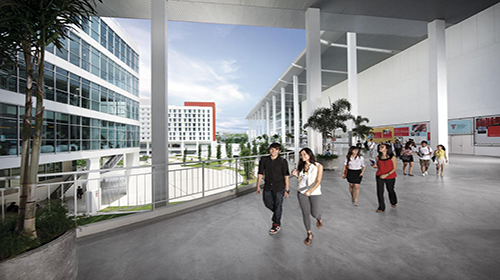 Taylor’s University Malaysia is a privately owned University located at Subang Jaya, Selangor in Malaysia. The foundation of Taylor’s University was done in the year 1969, first as a college in the year 1969, subsequently, granted a status of College University in the year 2006, and later on was granted a status of University in the year 2010. 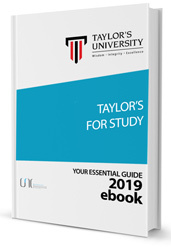 The courses offered by Taylor’s University provide tertiary education, Foundation & diploma, degree, post-graduate, and other professional programs are the focus of education. 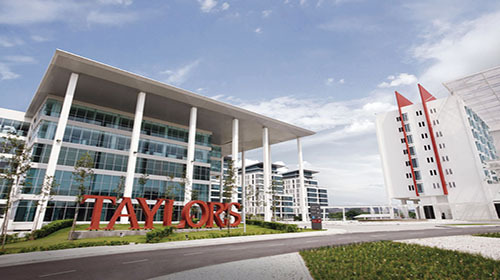 The Taylor’s University Malaysia is a premier institute apart of the Taylors Education Group, along with Taylors College, Garden International School, Sri Garden International Schools, Australian International School Malaysia, Nexus International School Putrajaya, Nexus International School Singapore, and Taylor’s International School – all of which come under the group.